It only took about three seconds between swinging from a platform, to letting go of the rope, and the plunge to the cold, clear water of the cenote but the thrill of the experience would last for a long time. 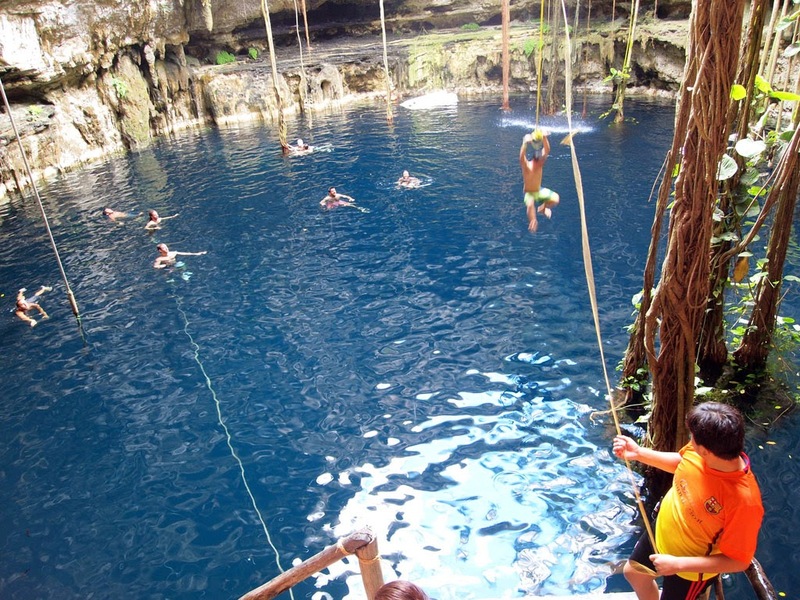 Cenote jumping became one of the most exciting thing I did in Mexico. Cenotes are naturally occurring sinkholes that dot the almost barren landscape of the Yucatan Peninsula. They are formed by the collapse of the limestone bedrock above that creates a pit that are filled with water. Some of the cenotes are connected to cave systems too. As there are no notable rivers in the region, cenotes became the primary source of water to the Mayan communities since the ancient times. Some of the cenotes in fact are considered sacred by this culture, and now, a source of excitement for thrill-seeking travelers. My trip to a cenote started with a bus ride from Cancun, on Day 8 of my trip. 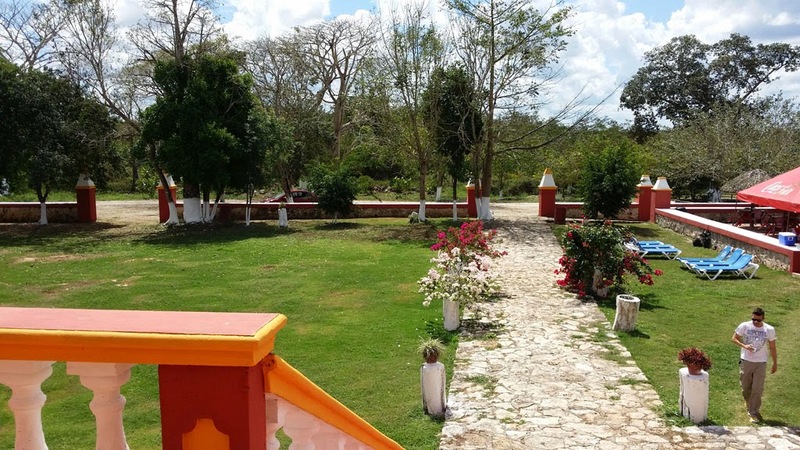 We started out early in the morning, and we arrived just before noon to a place called Hacienda Lorenzo Oxman, in the town of Valladolid, in Quintana Roo region of Mexico. The sky was clear and the weather was mildly hot when we arrived, and I started to get sweaty and clammy, so I was very excited as we went to the back of the hacienda to the cenote itself. 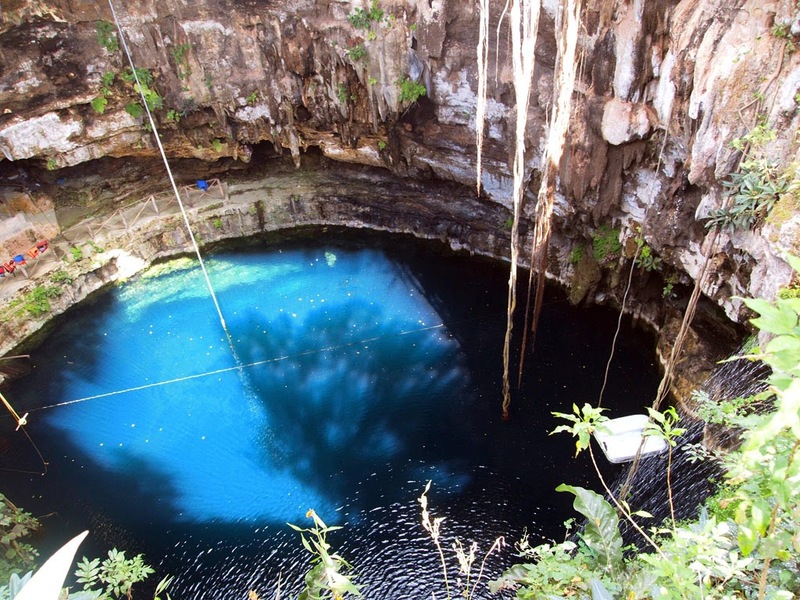 Viewed from the surface, the cenote looked like a lidless eye, cerulean in color, framed by jagged limestone and the dangling roots of nearby trees. We have to take several flights of stairs down (built on a hole carved all the way down) from the surface to the bottom of the sinkhole, where a wooden platform were built around it. I changed to my boardies as soon I was got down, and went in line where the rope swing is. There were already several who jumped in before me. When my turn came up, I took hold of the rope, inhaled deeply and swung my body into the water. I let go when I reached the other end, and a split second later I was engulfed by the cold water. Once in the water I made a couple of strokes till I broke the surface, adrenaline pumping, and refreshed by the cool waters around me. I swam back to the platform, and got in line again. And again. I stayed in the cenote until they called us for lunch. Thoroughly refreshed now and stoked from all the jumping and swinging, I felt I was famished too. I gathered my belongings and went back up the surface with my seatmates from the bus, and got in the buffet line. We chatted and traded travel stories over a great lunch. 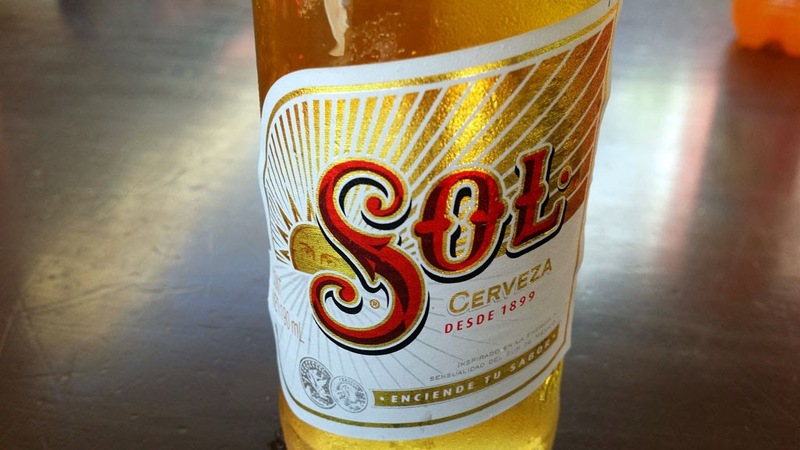 The perfect day was capped with a bottle of ice cold cerveza. There are literally hundreds of cenotes around the Yucatan Peninsula. The one I've been to is in Hacienda Lorenzo Oxman, in the town of Valladolid. You can arrange to go to one with the tour operators around Cancun. They charge 50 pesos to go in the cenote in Lorenzo Oxman, but mine was included in the tour to Valladolid and Chichen Itza. I paid about 480 pesos for it (1 Mexico $ is about PhP 3.5) , and it includes lunch. How'd you get two videos with different POVs?